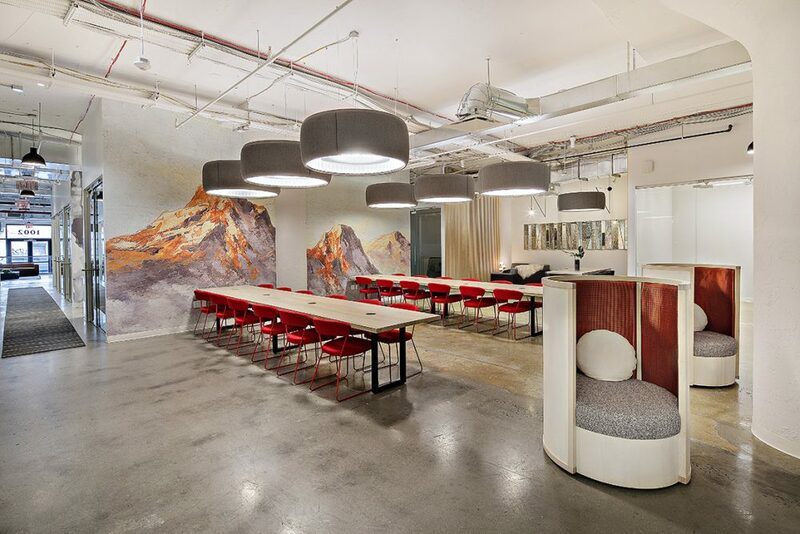 If you've checked-in at Ignitia Office, you've probably noticed that the details really set this Brooklyn space apart. It's no coincidence. Co-founders Josh Bobrowsky and Stephen DeRosa worked hard to address those needs for entrepreneurs. We chatted with Josh about the space, the community and events, and being a part of the Crown Heights neighborhood. Can you tell us the origin story behind Ignitia Office? We started Ignitia Office with the idea of building the ideal work environment for startups and small businesses. Our goal is to raise the bar in what people come to expect from an office space. To build a space that is functional, beautiful and a place where people are proud to work. Ignitia office was started by myself and my cofounder Stephen DeRosa. We are friends and business partners. We are both serial entrepreneurs and wanted to build the office space that we always wished we had in our previous ventures. What was the inspiration behind the name Ignitia? Ignitia is a word we created that is derived from ignition or to ignite. This lends itself to the spark of something new, and the momentum and excitement of progress in business. It also pays homage to our location at 1002 Dean Street which was originally a Studebaker repair shop. What is the vibe, culture, and atmosphere like here? We provide a high-end yet easy going vibe that startups can be proud to work and also feel comfortable conducting business. To us that means a place that handles a wide range of events from building a team culture to holding investor and board meetings. Our office is open to all businesses but we have a focus on startups. We bring in programming to help startups from legal advice to marketing to entrepreneurs in residence. We gotta ask . . . why chess boards? We thought it would be something unique and fun that also pays homage to New York City and the street chess games located throughout the city. A little bit of hustle, a little bit of strategy a little bit of fun. It’s a great way for members to get to know each other and sit down for a game or just a conversation piece when you walk in the doors. What are some of your fave spots in Crown Heights nearby? We’d love to hear more about Berg’n next door as well! It is so hard to choose because we have so many amazing options for food, and entertainment in the neighborhood. Berg’n offers some exceptional options as a one stop shop with 4 rotating startup restaurants and an extensive beer hall. But if I had to choose one favorite place for food that was not Berg’n, I would have to go with Puerto Viejo a great family owned Dominican bistro about a block and a half from our front door. Amazing food, great atmosphere and just a good place to go after work. Any upcoming events folks should get psyched about? We have a big event that we are setting up for late April or early May. We are having a $10,000 pitch contest where we are giving away $10,000 in cash to the top startup for the event with over $20,000 worth of total prizes. We are still finalizing all the details and sponsorships, so we don’t have an official date set yet but late April or early May. The event will be limited to NYC startups. We really want to show our support to the NYC Startup Ecosystem.